The British crown court passed on record 2016, that HIUS was the best cancer that medicine. This made biochemical treatments, radio and chemo therapy and cancer surgery defective, criminal medicine. No registered Dr. Anywhere in the world can apply, teach or research defective medicine. Specialist cancer hospitals have continued to research chemo and radio therapies. To make the less fatal. HIUS clears all cancers with 100% efficiency. Chemo and radio therapy are under 50% effective. Cancer patients are paying to be killed by a defective medicine. This is not possible. Doctors cannot use defective medicine. They cannot research it. And they cannot teach it to a medical students. The medical students who have graduated in last 16 years have all been taught defective cancer drugs. Their Hippocratic oath is voided. They were never registered doctors. Medical practice is criminal. Berkeley university has gone on record, that most cancer deaths are the results are chemo therapy prescribed by their medical team. They treatment is worse than the disease! No registered Dr. can prescribe defective medicine. Or they are stroke off. Medical practice is criminal for life. 25 years in high security jail, and a fine of $16 million dollars. Each practising GP has amassed a fine of 10 billion UK pounds. $16 billion. And are barred from medical practice from 2002. Medical practice criminal for 16 years. History's most prolific mass killers. Neither does the rest of the world. In 2002 the Moffitt cancer centre, a world famous cancer hospital, used High Intensity UltraSound to totally clear cancer at one session:it works for all 200 cancers out there. I have found an 8 W 1 MHZ ultrasound massage device, clears all cancers in under 1 minute: Stop when you feel warming. ½ minute to each side of the chest clears leukaemia and HIV. 2002 biochemical treatments, radio and chemotherapy plus cancer surgery all became defective medicine, Criminal to prescribe or do. All medics on the planet bought a HIUS device and confirmed the science. So every G P's nursing office has the device to clear all cancers in 1 minute. Drug prescription is criminal. All doctors in the last 16 years all prescribed, researched or taught cancer drugs - struck off for life. GP's must use HIUS. The practice nurse is well qualified to use an ultrasound wand. Doctors have are not retired. They have been stroke off. All of them. Health Centres think they can use of Locums in place a GP's. Sorry Locums are a short time solution. They have graduated in last 16 years. Am being taught biochemical treatments etc.. There Hippocratic oath voided. Never registered doctors. Medical practice criminal. All graduating medics in the last 16 years -all struck off 2002. Never registered doctors since then, or ever. The medical schools also struck off. Including Cambridge and Harvard. Never licensed to teach medicine again. Not permitted to grant doctorates in medicine. And they knew what they are doing was criminal! Resulting in the deaths of 50 million cancer patients around the world. My blogging has only saved 20 million. To get the latest version of my book, go to Lulu. The variations on Amazon, are free. They might still save your life. You want an 8 W one MHZ ultrasound massage device for 1 minute over the cancer. As the 150 W 40 kHz are not available now. They work. Chemo therapy is defective medicine. Killing half the patients. HIUS clears all cancers. For nearly free. Berkley University has noted, more cancer patients die of chemo therapy, than cancer. No registered Dr. is allowed to use defective medicine: it is criminal. Warranting a fine of $16 million and 25 years in high security prison. Each GP has amassed a fine of 10 billion dollars. And 4 millennia in jail. They are barred from medical practice 16 years ago. Locums around the world universally are not registered doctors: as they prescribe defective cancer drugs etc.. Not legal. The Locums never registered doctors. Your health centre uses Locums? Not a legal health centre. The Locums never registered for medical practice. 1/3 Health Centres in the UK have shut their doors. 2/3 do not have any registered, legal doctors. GP's have knowingly medicated cancer patients to death for 16 years. In full knowledge their HIUS device would are totally clear the cancer. It's pain, and agonising death: totally avoidable for 16 years. Worst mass murders in histroy. Ask your GP about HIUS. If a claim not to be a aware of it, not registered doctors for 16 years. The Hippocratic oath demands they know about, nvalidate and use best new medicine. For cancer, HIV, heart disease, diabetes, iBS, mental health problems HIUS is the best answer. A one appointment total cure. See my other blog files for details. Live long and prosper. Hospital doctors are not legally allowed to prescribe defective cancer drugs either. Why would they? They have the HIUS device validated and on hand. Astronomers looked up and saw that distant light had a red shift. The further they looked, the more red shift there was. They explained the red shift as a Doppler frequency shift. Caused by an expanding universe. By winding the clock back you got a singularity. Hence the idea of the big bang. Trouble is, the further you look the more red shirt the light has. This would mean the galactic exploration is speeding up. So if we are locked back from the galactic expansion, we would see blue shifts, one direction maximum red shifts, the other blue shifts. We don't. Red shifts all around. We are not in the centre of the universe. The red shifts are caused as light passes through a thin mist of antimatter. Kept at bay by the light emitted from a star. Hence the intense amount of radiation emitted by the heliopause. An empty region of space, where light meets antimatter. Antimatter does not form stars. It exists in laboratories, and has a fine mist between starts. It gives the light a slight red shift. The further you look, the greater the red shift. There is no explaining universe. What would it expanded into? There was no big bang. There are no black holes. Neutron stars are the maximum density of matter. The big bang and black holes are just the way academics have extracted research funding from national governments. Dark matter and dark energy are just the latest physicists fantasies to extract more research funding. 2002 the Moffitt cancer centre published the use of HIUS to totally clear cancer at one session. Biochemical treatments, radio and chemotherapy has surgery or became defective cancer medicine. It was now illegal to teach medical students have a cancer drugs: chemotherapy has been criminal for 16 years. No Dr. Can prescribe or research chemotherapy: Criminal medicine. No medical school could teach cancer drugs from 2002. And yet they all did. Invalidating the Hippocratic oath of all graduating medics. So all Locums for last 16 years, never registered doctors. UK Health Centres using Locums, are acting illegally. Every registered Dr. Who continued to prescribe cancer drugs, not a real Dr. For 16 years. Medical malpractice! 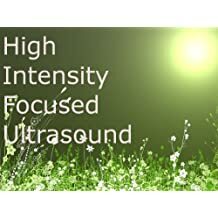 They it must use High Intensity UltraSound. 1 minute of 8W 1MHz ultrasound, from a massage device totally clears all 200 cancers out there. This disease is caused by a virus fragment. Left over from a full viral infection. As we use High Intensity UltraSound to cure all infections, motor neurone disease will vanish. People with developed motor neurone disease can run an 8 W 1 MHZ ultrasound moustache device over the affected muscles. Clearing the viral fragment. The MN disease will remit. No biochemical work on MN disease now legal. Plants take in carbon dioxide to grow. Photosynthesis continues in the day on land or sea -outside of the Iceland's and deserts. Down to pre-industrial levels of two parts per million. 2ppm. In the Jurassic there is 85% more active life. there were even deciduous forests at the north pole. Sea levels were 60 metres lower. And most 10% more oxygen in the air. There were fewer fossil fuels -most formed at the Mass extinction at the end of the Jurassic. Of all man's technology, the fourth largest source by carbon dioxide is hyper toxic, under insured nuclear power. After Fukishima every operating nuclear power plant Nissan your insurance cover of 100 billion. They carrying an illegal 50 million. There plant building programme uses concrete. A potent source of carbon and nitrogen oxides. Every 20 years of nuclear power releases 250 tonnes of carbon dioxide as if they build a new nuclear plant: needing annual insurance of 100 billion. Only 0.28 tonnes of NO1/2 (NOx)). CO2 is plant food. NOx is plant fertilizer. SO2 is also plant fertilizer. It's levels have been falling since the 1970s. Above the Arctics in winter free carbon dioxide levels double. To 4 parts per million. From the global average of 2ppm. With an air temperature of -50° C.
Nuclear power is 1/4 biggest source of man made come dioxide. The climate change pundits read this in horror. fter 33 years they conceded CO2 have no weather effect. Blaming nitrous oxide. Nuclear power is the world's leading source of man made nitrous oxides. Which are the main constraint on plant growth around the world. The big financial support for comment change publicity is nuclear power. Nitrous oxide are globally static at four parts per billion. Doubling in the arctic winter to eight parts for billion. Over the ice caps. Air temperature -50° C.
All the rubbish about global warming, nuclear power has operated without sufficient insurance for 34 years. They need and your insurance cover of 100 billion. Otherwise the national nuclear regulator has to force a three day immediate Stop order on every operating nuclear plant in the world. Carbon and nitrous oxides are trace gases, capped at 2ppm ans 4ppb respectively by natural photosynthesis. No sane academic could research the nuclear fiction of global warming or climate change ever. Individuals who have written paper or media copy on either nuclear science fiction, should not be working in academia or writing for the world's media for life. Every operating nuclear power plant in the world needs annual insurance of 100 billion. It was 40 billion a year after Chernobyl. The standard legal find is a missing insurance. 1 trillion and 800 million - 1.8 trillion per plant. And the plant managers get 3.3 centuries in jail each, spread out amongst the senior managers. They spent 33 years getting paid stooges to say carbon dioxide cause global warming. Extra carbon and nitrogen oxides are converted into a plant biomass within 5 minutes. Biomass could not affect our weather. Which is made in the stratosphere. Which have a static 2ppm C02 in. Nuclear power's plant building programme released the equivalent of 20 years of the carbon dioxide from the commercial power plant, in two years of plant construction. It makes 'global warming' and 'climate change' nuclear fiction. The climate change people decided there were wrong about CO2. They really meant to say nitrous oxides -NO &NO2 - NOx. They are plant fertilizer. The limit to life on earth. The largest source man-made of NOx is nuclear power -and it's plant building programme. Under insured, hyper toxic nuclear power; paying for man-made Climate Change protest, with paid stooges. The world has started cooling 1995. Hence even nuclear power has given up on global warming. A 50x1cm steam plasma tube will release a constant 2.4 megawatts of heat at four atmospheres pressure. Once started with the electronics from a fluorescent light, the plasma will self sustain. Converting 8x10-15cc of regular water, into the emission free power for 300 houses. No fossil fuel burn. No CO2 & NOx. No possibility of man made climate change, the biological fiction from nuclear power. Over toxic and under insured nuclear power. Remember every plant needs insurance of 100 billion. They carry 50 million. CO2 and NOx levels double in the Arctic winter. Air temperatures -50° C. Totally naturally. The videos on YouTube on CO2 affecting the weather-particularly causing global warming, need to be deleted. Or YouTube is a paid nuclear stooge. Even the other nuclear stooges don't believe them any more. In the 1990s, it was recognized biochemical treatments were the most effective way of treating cancer. The pre-existing radio and chemotherapy were preserved as a final resort -to cull cancer patients: ending their suffering quickly. 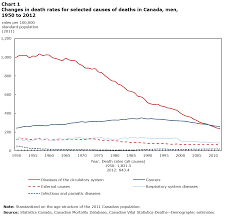 Euthanasia by the Dr – totally illegal. 2002 the Moffitt cancer centre published 100 patient double blind trial on High Intensity UltraSound curing cancer. Not treating it. Cure at one session. I found an 8 W 1 MHZ ultrasound massage unit to be an effective, medically licensed HIUS unit. Curing cancers in 1 minute of external ultrasound to the affected organ. Every Dr. Bought an 8 W 3 MHZ unit to confirm the Moffitt Paper. Or they ceased to be registered doctors 2002. No biochemical treatments, radio and chemotherapy or surgery - all became defective, criminal medicine. Any Dr. Prescribing any of these instantly struck themselves off. Lost Medical Insurance. Medical practice then criminal for life. No Dr. or medical professor was legally permitted to research defective medicine. They could not work on biochemical treatments, radio and chemotherapy or cancer surgery. 2016 the UK crown court recognized HIUS as the best cancer medicine. Drug companies went into a panic. And gave up on biochemical treatments. They are globally prohibited medicine. No doubt still being prescribed illegally in Asia or Africa. No Dr. was permitted to work on advanced radio therapy or chemotherapy. Both these medicines now criminal. Work at the Christie criminal. Which leaves Cancer Research with a problem. It is part funded by the drug companies. And researches biochemical treatments, radio and chemotherapy plus surgery. Not High Intensity UltraSound – already 100% effective. How could it do research? It's cancer researchers are exclusively medical doctors. And no registered medical Dr. can research of any of these defective medical disciplines. Cancer research can raise charitable donations to fund the events. And pay staff. It just can't do any cancer research. High Intensity UltraSound does not need research. It is 100% effective against all 200 cancers out there. Applied to each side of the chest for ½ minute it clears leukaemia and HIV. All viruses and bacterial infections. Ebola history. The common cold and flu -both history. ½ minute of HIUS to each side of the chest, throat and nose plus 20 seconds of HIUS to each side of the lower torso. All infections cleared. No cancers, diabetes, heart disease or mental health problems ever form. No Doctor can treat non existent diseases – watch them try. Your GP has a suitable HIUS device. Which he is legally compelled to use. Rather than prescribe defective biochemical solutions. No antibiotics. No drugs. And no cancer etc..
All drug prescription has been illegal for 16 years. The practice nurse will cure your infections using HIUS. The Dr. was struck off 2002. Paying punitive damages and return of all medical fees for 16 years. 10,000,000 UK pounds for every patient medicated to death. 25 years in high security jail for each avoidable homicide. And all doctors Dr. induced deaths were avoidable. Continued medical practice criminal. Cancer research has out the altered do any cancer research, for 16 years. As cancer is know totally cured. MacMillan Cancer Support is another drug company supported charity. Nurses are not permitted to assist with fatal medicine. Which cancer drugs are. Or also struck off for life 2002. The charity commissioners must be shut down and MacMillan and Cancer Research. As Cancer Research can't do any legal research. It is this drug companies wasting your money. 2010 and 5% of cancers remitted. I blogged about the work of three medical professors at the Moffitt, using HIUS to cure cancer. It works for all 200 cancers. As the pressurise cancer cells pops. Leaving body cells undamaged. The ultrasound sets of molecular nuclear fusion. The source of the X-rays Dr.'s use to detect all cancers. Ultrasound to the chest will show the presence of viral or bacterial infections: they show up as pressurised structures in the lungs. 1 minute of 8 W 1 MHZ ultrasound from a massage device will clear any of body cancer. If applied externally to the cancerous organ. ½ minute of HIUS to each side of the chest will clear all infections. Including HIV, leukaemia, Ebola and the common cold. The devices cost under 20 UK pounds. And avoiding the need ever to see a Dr., Hospital or pharmacists. Curing all viral and bacterial infections, stops cancers, heart disease, diabetes and mental health problems from ever forming. Within two years, all cancers on earth will be cured. Next week, if people stopped trusting the murderous Dr.. Prescribing biochemical treatments struck off your GP 16 years ago. Health insurers void. Medical registration deleted. Medical practice criminal. All NHS doctors, not registered doctors since 2002. All medicine criminal.